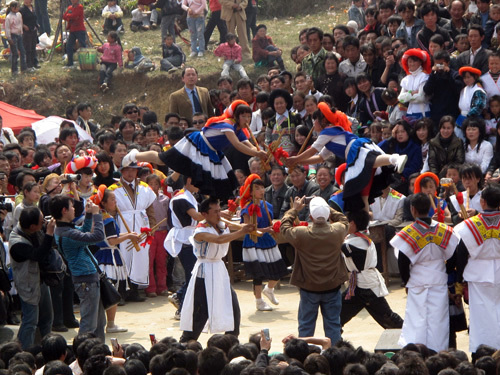 The Mountain Ramp Festival serves multiple purposes for the Miao, but the most discussed is its role as a meeting place for young men and women to meet with the hopes of future marriage. In addition to festivals, markets are also a traditional site for men and women to mingle with the hopes of marriage and family. 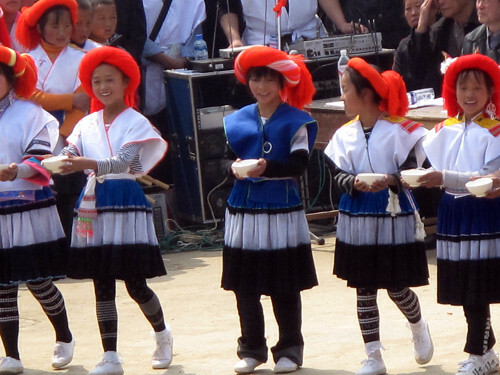 Upon hearing expressions of interest from young men, Miao women might give them samples of their embroidery, giving the finest pieces to the most attractive suitors. Courtship usually begins when the woman (usually accompanied by a female friend) visits the man’s home. If she is interested in marriage the man arranges, through a matchmaker, the delivery of a “sheep fur chicken” to her family’s home. In turn, the woman’s parents send a chicken to the man’s family to express their approval. 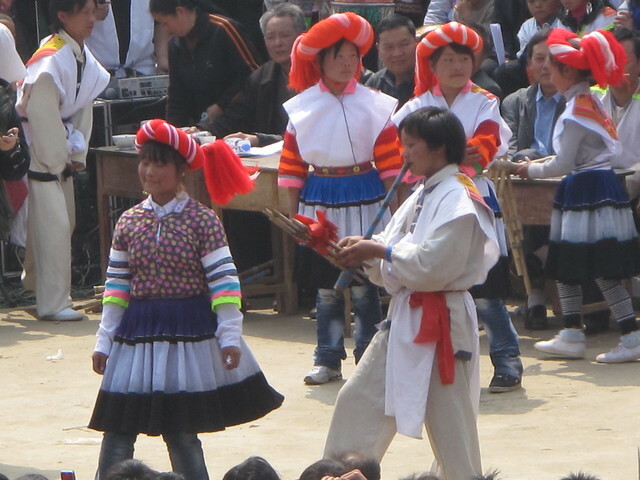 Miao family systems are usually patrilocal, meaning the woman moves into the man’s family’s residence upon marriage. Although inheritance generally goes from father to son, clothing and jewelry are passed down through generations of females.